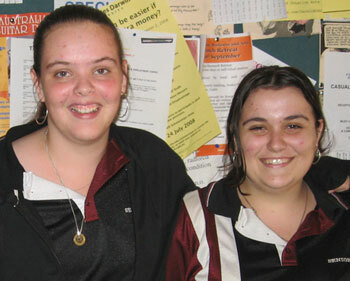 More than 50 Taminmin High School students recently attended Higher Education week at Charles Darwin University (CDU). Higher Education week is a new initiative by CDU’s ‘SchoolsLink’ program to provide practical knowledge about university study to high school students. Schoolslink’s secondary school liaison, Trisha Kohlweg, says that high school students appear to reap greater benefits from attending university activities than from participating in traditional one-week work experience programs. “Practical experience of university seems to be most relevant to achieving high school students’ career goals,” the secondary school liaison said. The HE program was a week-long event specifically tailored for school students to experience life as university students by attending lectures, practicum and presentations. The students were given information about tertiary study across various streams, including Education, Engineering, Law, Health, Environmental and Sports Science. Students also attended sessions on student admissions, as well as a library tour and study skills. On the final day of the program, students interested in following the VET in School pathways took a tour of the Trades School.